Mr. John Achee, 88, of Torrington, CT, passed away peacefully at Valerie Manor on Thursday, August 16, 2018. He was born in Gulfport, Mississippi on September 20, 1929. He was the loving husband of Alice Achee for 63 years. 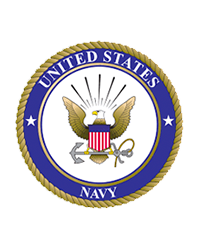 A graduate of St. Stanislaus private high school in Bay St. Louis, MS, he then attended the Merchant Marine Academy and served in the U.S. Navy. He graduated from the University of Connecticut, with a degree in Mechanical Engineering. 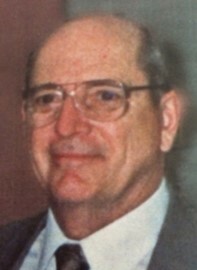 He was employed by the Torrington Company, part of Ingersoll Rand until his retirement. He enjoyed spending time with family and friends. He loved golfing, sailing, skiing, running road races, and even surfing as a young man. He was a gifted artist and builder of furniture. John also built two catamarans in his garage and loved to take his family sailing. No matter how he felt, good or bad, if you asked him how he was, his response would always be “Fantastic”! Besides his wife Alice, John leaves his daughter, Lynn Achee and her husband Tony DiGiaco, son Jeff Achee and his wife Lisa, with grandsons, Kyle and Dylan Achee, son Richard Achee and his wife Susanne, daughter Trish Berg and her husband Brian Berg with grandson Tyler Berg and granddaughter Jenna Berg. He also leaves his sister, Beverly Neski of Harwinton, and CJ Achee and his wife Catherine Ann of New Jersey, as well as several nieces and nephews. He was preceded in death by four brothers, Lloyd, Norris, Earl and Bobby Achee, and three sisters, Theresa Gatian, Shirley Northup, and Laura Bea Oehrle. A thank you goes out to all of the nurses and aides at Valerie Manor who gave him care and compassion over the years. Funeral Services will be held on Wednesday, August 22, 2018, with the cortege leaving at 10:30 a.m. from Cook Funeral Home, 82 Litchfield St., Torrington, CT to St. Francis of Assisi Church, 160 Main St., Torrington, CT for a Mass of Christian Burial at 11:00 a.m. Burial will follow at St. Francis New Cemetery with full military honors accorded. Relatives and friend may call on Wednesday morning from 9:00 a.m. to 10:30 a.m. at Cook Funeral Home.